The mojito is one of the most popular of all cocktails, and it is undoubtedly the most famous of the rum-based cocktails. However, even cocktail experts cannot agree on the ingredients: Lime or lemon? White or brown sugar? Mint or spearmint? Sparkling water or tonic…? The matter is complicated further by the many new varieties of the mojito; they are made with strawberries, coffee liqueur, chocolate, watermelon, peppermint… The possible combinations are almost endless, so how do you choose the best rum for the mojito? Bitter Mojito: The dominating flavours in this mojito come from ingredients such as tonic, lemon or lemon zest and angostura or something stronger like tequila. Bitter mojitos resemble the original mojitos the most. But they do not represent the general conception of a classic mojito. The touch of the bitterness makes this cocktail combination more refreshing. If you want to accentuate the bitter touch you should use a white rum with very light aromas, like Bacardi rum. Keep in mind that rum is one of the sweetest spirits and using a rum with more flavour could result in the cocktail losing its bitterness. Sweet Mojito: In this type of mojito the main flavours are sweet. Ingredients range from syrup or smashed red fruit (from strawberries to grenadine), chocolate, passion fruit, figs or perhaps even a splash from a sweet cava. If these types of mojitos are mixed with a sweet rum there is a real risk that the drink will be overly sweet. However, the cocktail does need a medium or full-bodied rum to not lose consistency. One of the best options for a sweeter mojito is Barceló rum, which is a deep rum full of nuances. Sour Mojito: The original mojito is an exceptional combination of the bitterness of sparkling water or soda and the acidity of lime or lemon. The drink is fresh and fun. If you want a sour mojito you can change the soda to still water, or you can add pieces of pineapple, grapefruit or other acidic tropical fruits. Use a sweet rum instead of adding sugar, as well as a powerful white rum. A great choice is the Bacardi Limón, which was developed with this type of mixed cocktail in mind. Spiced Mojito: Mojitos with a bit of spice are very popular in non-Hispanic countries such as Bermuda, Martinique or Jamaica. Here the rums of both old and current English or French colonies are more famous. You can use pepper, juniper, ginger or coffee as a replacement for mint and citrus juice. If this sounds like the mojito for you, we recommend using any of the Captain Morgan rums which will give you a great result and surprise your friends. White rum or golden rum? Maybe you already know, but just in case … There are two great types of rum: golden rum, which is aged in oak barrels, and white rum, filtered through coal which results in a colourless spirit. The golden rum spends more time in the barrel and it obtains a somewhat softer flavour. The colour, on the other hand, will become darker as it ages in the wood. The white rum is usually stronger, even if it is marketed shortly after the distillation process, due to the fact that it spends less time in the barrels. Before we reached the endless number of different mojitos that we enjoy today someone was responsible for inventing this drink for the first time. The most famous summer cocktail has its origins sometime in the sixteenth century. The Uruguayan-born Corsaario Silvio Suárez Díaz, fuelled by the boredom caused by the solitude on the high seas, gave his crew a mix that would later be baptized as Draquecito by the pirate Francis Draque. This cocktail consisted of moonshine liquor diluted in a little water, some lemon to combat scurvy, aromatic herbs such as mint and a little sugar, which softened the flavour and helped digest the mixture. Rum distillation was used around a century later, and the rum replaced the moonshine. 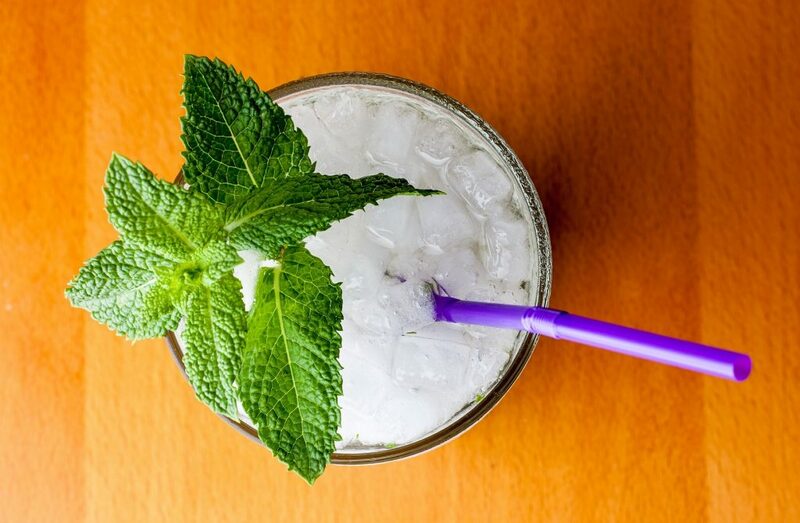 The resulting drink became what is now our much-loved mojito. Above you will find just some of our suggestions. But if you prefer a traditional mojito you can find 2 rums below which you can use when making authentic luxurious mojitos. We hope you enjoy them! 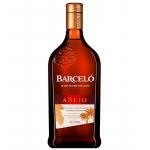 Ron Barceló Añejo: Ideal both for drinking on its own, with ice or mixed in drinks. The Ron Barceló Añejo is a Spanish type’s rum characterized by being fruity with brandy ‘s flavored, notes of raisins and berries. 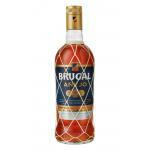 Brugal Añejo: a golden rum from the Dominican Republic with an alcohol content of 38%. Brugal Añejo is a great experience. Drinking it is making each day a little more special.